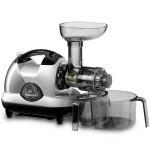 If you are a serious juicer, masticating juicer is the way to go. Also known as slow juicers, these models operate at a much lower speed compared to centrifugal juicers, thus yielding more juice, especially if it is from vegetables. This usually involves crushing the ingredients before pressing them to extract the juice. However, despite being slow and low-speed juicers, masticating juicers take just about the same time as other types of juicers to produce the same amount of juice. Masticating juicers are also typically more expensive than centrifugal juicers, even pricier than some of the best commercial-grade juicers However, the promise of efficiency and production of more nutritious juices have raving fans of masticating juicers justifying its value. 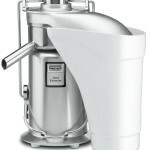 Here, we have the SKG New Generation Wide Chute Juicer to check out. Read on to find out more about this model. With a 23-pound heavyweight, high-quality build, the SKG New Generation Wide Chute Juicer is definitely one of the sturdiest juicers in the market today. It uses high-grade anti-oxidative materials. 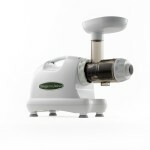 It also has a 3-inch wide mouth chute that can take large produce without having to slice or halve them, which reduces both prep and clean-up time. 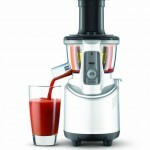 This model has a 240-watt motor that runs at the speed of 60 RPMs to give you more nutrients than ever with your juices. Its low speed also gives your juices a more natural flavor with minimal oxidation. It can yield up to 90% juice depending on your ingredients. It also comes with a five-year warranty for all parts and an extended 10-year warranty for the motor and the main body. The low speed of the SKG New Generation Wide Chute Juicer makes it ideal for those who want to get the most vitamins and minerals out of their produce. Compared to different models, this type certainly packs the most nutrients out of all other juicers. In addition, its sturdy built and anti-oxidative materials assure customers that it keeps the juices completely healthy and natural. 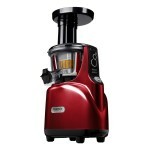 In fact, it is arguably on par with some of the best commercial-grade juicers. 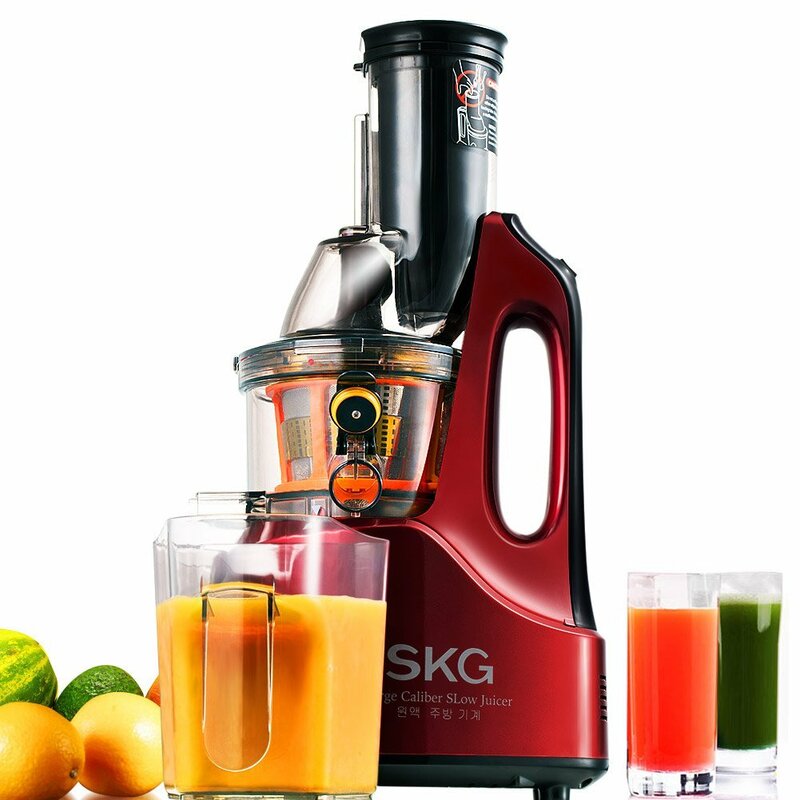 Hardly any users expressed disappointment over the SKG New Generation Wide Chute Juicer. However, some commented on the noise it makes during the first two minutes of the juicing process. Also, some said that it can be a bit hard to assemble. Overall, this model has racked up a ton of five-star reviews, and we can can see why.